Born at Cobourg, Ontario on 30 April 1859, son of Robert Henderson and Martha Brown, he left school at the age of 12 years to apprentice as a blacksmith. In 1879 he came to Manitoba and worked as a blacksmith for the Montgomery Brothers then, two years later, moved to Brandon and blacksmithed for William Wilson until January 1888. He then farmed and sold agricultural implements until 1901 when he was appointed Sheriff of the Western Judificial District. 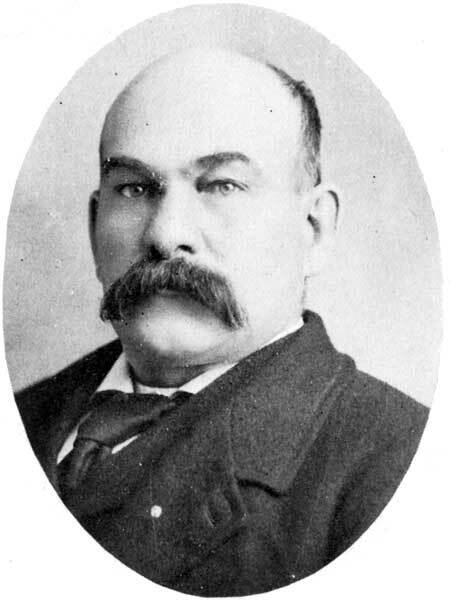 He ran for the South Brandon constituency in the 1899 provincial general election but was defeated by Frank O. Fowler. He was a Mason (Brandon Lodge No. 19) and an Odd Fellow. He died at Brandon on 11 April 1921 and was buried in the Brandon Cemetery. “Wm. Henderson former Sheriff died on Monday,” Brandon Sun, 12 April 1921, page 1.